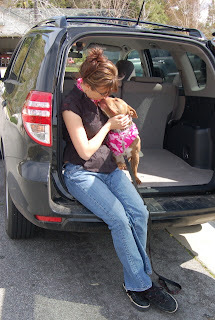 Lucky Dog Rescue Blog: Published Author To Visit Lucky Dog Rescue! Published Author To Visit Lucky Dog Rescue! PUBLISHED AUTHOR & PIT BULL AMBASSADOR TO VISIT LUCKY DOG RESCUE IN MERIDIAN, MS! 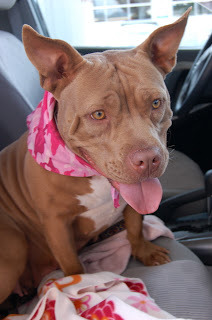 (Los Angeles, CA) - Kara, a three year old pit bull mix saved from a high-kill Los Angeles County shelter, has been selected as the bully breed ambassador for the national “Pit Stops: Crossing the Country with Loren the Rescue Bully” book tour launching on May 9. Accompanied by Kara, author Michelle Sathe will sign copies of “Pit Stops” at rescues, shelters, humane pet stores and dog-friendly venues from Santa Fe to Pittsburgh during their seven-week trek. 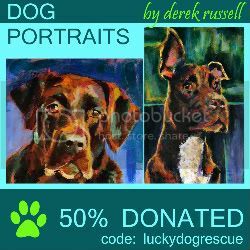 Sathe and Kara will appear for a book signing and adoption event at Lucky Dog Rescue in Meridian, MS, on Sunday, May 22 from 3-6 p.m. Run by Ashley Owen Hill, Lucky Dog Rescue specializes in rescuing pit bulls and other homeless dogs from shelters, as well as providing assistance to low-income pet owners in the area. “Pit Stops,” released in the fall of 2010, chronicles Sathe’s original cross-country journey in 2009 with Loren, a homeless pit bull from The Brittany Foundation dog rescue in Agua Dulce, where Sathe is a volunteer and board member. 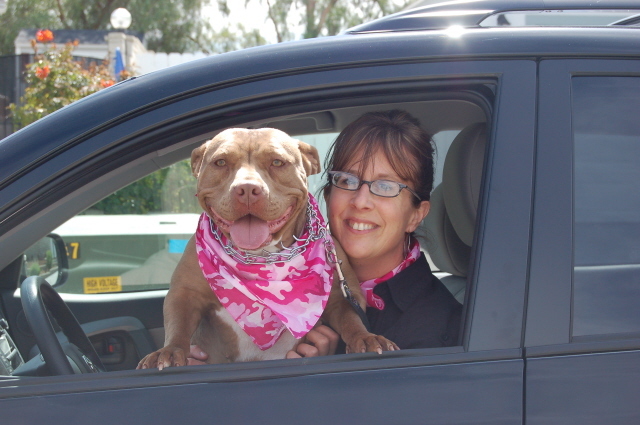 Sathe, a features writer with The Santa Clarita Valley Signal, had turned 40 and decided to combine her dream of the great American road trip with a mission to promote pit bull awareness and homeless pet adoption. Together, Sathe and Loren crossed 29 states in 50 days, shining a light on animal welfare advocates and volunteers along the way, as well as exposing the brutal reality facing pit bulls and dogs who look like them. Thankfully, Loren’s story in “Pit Stops” had a happy ending when her long-awaited dream came true. Sathe is striving for the same outcome with Kara, whom she describes as a symbol of what happens far too often with pit bulls. “Kara was used as a breeder for years and then dumped at the shelter when she was pregnant. When her ten puppies were adopted, Kara was scheduled to be killed,” Sathe said. Instead, Kara was rescued in the nick of time by shelter volunteer Kyle Harris, who fosters dogs at her Canyon Country home, in January. When Sathe saw Kara’s picture posted on Harris’ Facebook page, she knew she had found her new road companion. 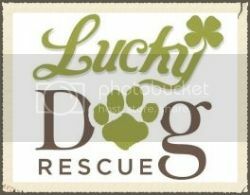 A portion of Pit Stop sales will benefit Lucky Dog Rescue! Meet Michelle, Kara, Ashley, and the awesome adoptables at Lucky Dog Rescue, Sunday, May 22, 3-6 p.m., 8659 Hillview Drive, Meridian. 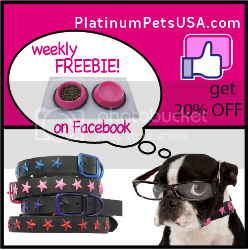 For more information, visit www.luckydogretreatmeridian.com or www.pitstopsbook.com.